Should society spend $750,000 a year to keep a person alive? I am very grateful to live in a country with free health care. The security of knowing that I will be taken care of when I get sick is almost something that I take for granted. Free health care has been there for me my entire life so I do not even know what it is like to live without it. Now that I am older and understand more about our health care system, I am worried that it is becoming unsustainable. It seems that health care costs are increasing more quickly than inflation, and a higher percentage of our tax dollars are going to health care than ever before. How long can we really go on at this rate? Many Canadians have never known anything other than a free public health care system and the mere mention of any other option is very frightening. The problem is that since there is only one health care system in Canada, that system must handle all aspects of Canadian public health, no matter how expensive it might be. Canadians have no alternatives. This brings me to my title questions. Should Canadian society be willing to spend $750,000 a year to keep someone alive? Is that sustainable? Is it ethical to spend so much money on a single person when so many other people are in need in other ways than health? Is it really the right thing to do for the long term existence of our entire nation? I do realize the drug in this story is not yet approved. If it ever does get approved it will be a heavy burden on us all. From the link you provided ... The costly drug Soliris that she needs is the only one of its kind that's approved in Canada to treat her disorder. ONTARIO, March 6, 2013 /CNW/ – Alexion Pharma Canada., a subsidiary of Alexion Pharmaceuticals, Inc. (Nasdaq: ALXN), today announced that Canada’s national healthcare regulatory agency, Health Canada, has approved the use of Soliris® (eculizumab) for the treatment of patients with atypical hemolytic uremic syndrome (atypical HUS) to inhibit complement-mediated thrombotic microangiopathy (TMA). Atypical HUS, or aHUS, is a life-threatening and chronic ultra-rare, genetic disease that progressively damages vital organs, leading to stroke, heart attack, kidney failure and death. Canada's drug price watchdog has ordered Alexion Pharmaceuticals to lower the price of Soliris, one of the world's most expensive drugs. In a decision released Wednesday, the Patented Medicine Prices Review Board ruled that the price of Soliris (eculizumab) is excessive. The panel has also ordered Alexion to pay Ottawa back for overcharging Canadians for the drug. The amount of that excess revenue has not been disclosed. It is a complete misperception that Canada has free healthcare. Every single doctor, nurse, orderly, hospital room, emergency visit,OR, Xray, MRI, vaccination, visit to the doctor, costs Canadian Taxpayers. We have agreed as a society to fund all this, within reason. So life and limb, emergency, obstetrical deliveries, trauma, are served quickly and without question. All others, take a number. It's not a perfect system, does not cover all medications, gadgets required for disabilities(eyeglasses, hearing aids, wheelchairs), special diets or foods that might be needed, limited (or no) coverage for mental and addiction problems, most dental, or unlimited physiotherapy. And there's a shortage of many specialists. If we want a system which covers more than what is covered to date (e.g. extraordinarily high cost pharmaceuticals, or a personal caretaker for every disabled person 24/7,more physiotherapy, then we are going to have to increase taxes considerably. Preventative medicine could save the system a lot in the long run (diagnosis and treatment of diabetes in earlier stages for instance), but our health care system is not there yet. Should we limit to any degree the costs for outrageously priced pharmaceuticals? and what should that limit be? The TV news mentioned it is approved in other provinces to use if required but not in BC. So, what is involved in getting it approved in BC if it is deemed OK to use in other provinces? The media is one way, making the government look heartless. By comparison, the price of this to keep a young person alive, is a fraction the NDP has paid in severance firing liberal workers or again a fraction being paid for the many study committees that are studying things already been studied. So you don't mind doubling health care costs so that we can cover $750,000 a year to cover this (per person? yikes), and there's the cystic fibrosis drug (looks like a steal at $250,000 a year, per person x however many people with CF), heart medications (that's a lot of people), cancer treatments (a lot of people), diabetes injections and medications ( going to be 20-40% of future population), etc.where does it stop? It's never going to be one single drug for some rare rare disorder, it would have to include everyone who needs a medication. Who exactly is supposed to pay for all this? Americans pay tens of thousands per year for coverage like this, most can't afford it. oneh2obabe wrote: From the link you provided ... The costly drug Soliris that she needs is the only one of its kind that's approved in Canada to treat her disorder. To stay alive, according to the article, this young girl has been told she can, but needs a drug that its manufacturer is charging $750,000.00 per year to access !! Why even tell her there is a drug available? Imagine knowing you will die without treatment, then knowing that there is a drug out there that could save your life, the only one of its kind in Canada, but you can't have it because the greedy vile manufacturer is charging 3/4 of a millions dollars for one year's worth of the drug! I know drugs can be costly to research - I also know there are a few despicable pharmaceutical company CEO's that have no soul (i.e Martin Shkreli of Turing Pharmaceuticals to name one who raised the cost of a particular pill from $13.50 to $750.00 per pill a couple years back. It was a parasitic infection drug that is also used to treat cancer and other ailments). Wonder if that jackass is involved in this. In a statement to CTV, the province said that health experts recommended against funding Soliris with public money, "due to unclear clinical benefit and high treatment costs set by the manufacturer." 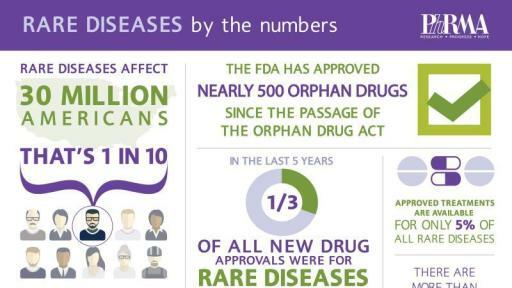 these new rare diseases - it's a great way to generate more profits. And yes, society should spend $750,000 for one person. That's exactly how much we spent to kill each and every Iraqi we slaughtered, so surely we can spend that equal amount to save a person. But the real reason it's such a wonderful idea- how else could the drug companies make $billions or $trillions? Oh and one more thing - society should NOT spend pennies more per pound growing less chemically contaminated cleaner food. We just can't afford it. It's way too labor intensive, and we don't have the labor we would need. We don't have the money. they're telling us one in ten have rare diseases. That would be good for profits for the drug companies if it were true. ...another example of greed - $250,000 per year for Orkambi, a life-saving cystic fibrosis drug....16 year old who was accepted into clinical trials and it worked wonders. When the trial was over it was yanked from him and government won't cover it. Any person who works for this type of company should hang their head in shame. There are many other examples of other drugs that could be saving lives for people with other diseases - not all rare ones - but are inaccessible due to the company they did the research for charging literally hostage dollars for the drug to save their life once the trial period is over and it has been approved. So, the diseases don't exist and those who work for the companies should go home, and we don't get or need the drugs. Everyone saves a lot of money. and these people just die of their imaginary disease. Some how this conspiracy theory is not making much sense. Everybody needs to get paid but there needs to be a serious move to get the cost of all drugs down substantially in Canada, that would make some of the more expensive treatments easier on us all. Our health care system is one of the best parts of being Canadian as far as i'm concerned. Ontario is covering this drug, so patient needing it can move there. seewood wrote: The TV news mentioned it is approved in other provinces to use if required but not in BC. So, what is involved in getting it approved in BC if it is deemed OK to use in other provinces? The media is one way, making the government look heartless. Last edited by ferri on Nov 12th, 2017, 4:46 pm, edited 1 time in total. It has been developed and is manufactured and marketed by Connecticut-based Alexion Pharmaceuticals, which has patent protection and administrative exclusivity on eculizumab until 2017.:6 Alexion started selling Soliris in 2007 making $295 million in 2008 with its stock price rising 130% in 2010. In 2010, Soliris was the most expensive drug in the world. It costs £340,200 (approximately €430,000) per year for ongoing treatment in the UK, $500,000 a year in Canada, and US$409,500 a year in the United States (2010). Silverstarqueen wrote: Ontario is covering this drug, so patient needing it can move there. You don't get instant coverage just by moving so this is not always an option. Our neighbours daughter is on a special program that the BC Gov't pays for. It took her a long time to get this authorized. They would like to move back to Alberta but if they did she would lose it and probably die.